REGINA GOES UNDERCOVER WITH THE QUEENS OF DARKNESS, ON ABC'S "ONCE UPON A TIME"
"Enter the Dragon" - In order to infiltrate the Queens of Darkness as a spy for the heroes, Regina must prove she's still willing to get her hands dirty. Meanwhile, Emma, David and Mary Margaret scramble to keep tabs on their undercover operative. Hook requests an unusual favor from Belle as Henry makes progress on his search for the Author. In a Fairy Tale Land flashback, Regina befriends Maleficent and helps her to rekindle her lost spark, on "Once Upon a Time," SUNDAY, MARCH 15 (8:00-9:00 p.m., ET) on the ABC Television Network. 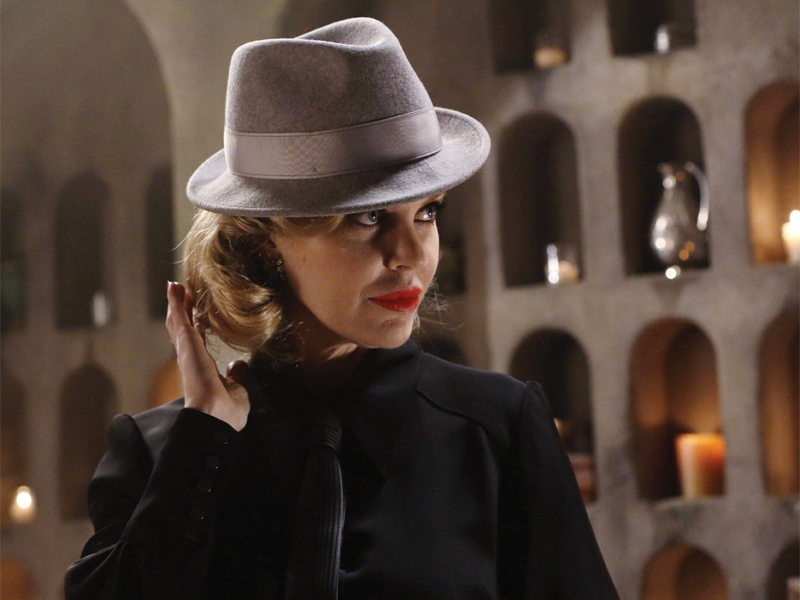 Guest stars include Tony Amendola as Marco/Geppetto, Eion Bailey as August, Sarah Bolger as Aurora, Merrin Dungey as Ursula, Victoria Smurfit as Cruella De Vil, Jakob Davies as Pinocchio, Sebastian Roche as King Stefan, Kristin Bauer van Straten as Maleficent, Noah Beggs as Bartender and Russell Roberts as Visiting Duke.